Last weekend, after hearing Precious Pea rave about the yummy lor mai fan at this place, we knew we had to sample it. Gathering early in the morning at this place, it was packed to the brim with families. The restaurant works on a system whereby they'll bring you the items in the bamboo baskets unsteamed for your selection. Everything is frozen and uncooked which can look kinda scary looking. Once you select what you wish to eat, they'll whisk it away to cook in the steamers. It's super fast as the bamboo baskets returned quickly to the table. 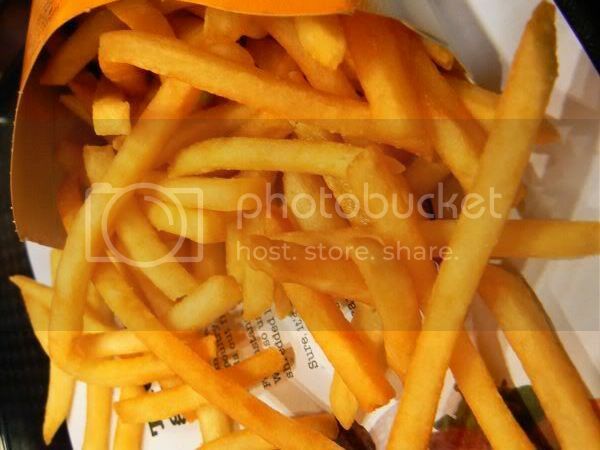 For the fried items, a waiter/waitress will present an array on a tray for you to choose from. Other items like chee cheong fun, porridge and etc, you will have to order from the wait staff. 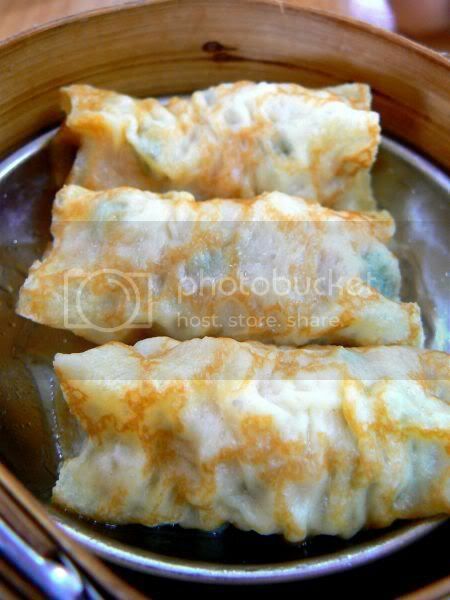 We ordered a selection of steamed items - the spinach steamed dun sum which is tinged green from the spinach juice. Wrapped within was chunks of pork and prawns that were a good mouthful. Really good stuff especially if you like your dim sum chunky. 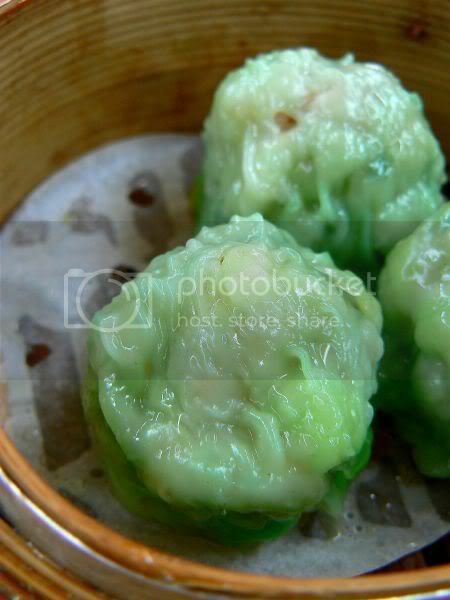 The siu mai which has a similar filling but less chunky as it was minced didn't satisfy as much as the spinach version. Ultimate order and what we all came for after the raves from Precious Pea was their Sang Chau Loh Mai Fan. Supposedly their most popular order, it's only available during the weekends as it's a pretty time consuming dish to prepare. 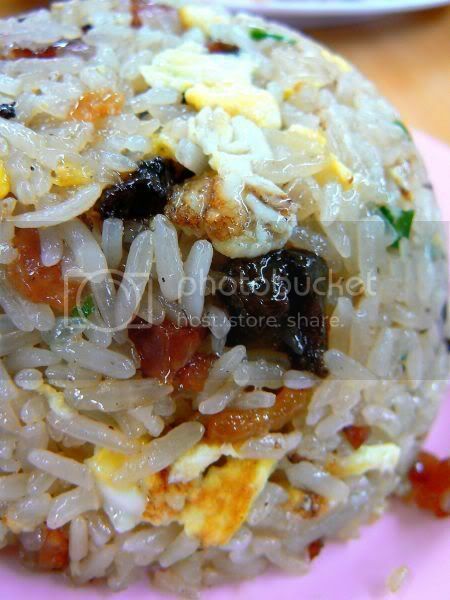 The glutinous rice is said to be soaked and steamed before frying it with bits of chinese sausage, egg, mushrooms and chives. Not too oily, the rice is fragrant as they're generous with the chinese sausage bits which taste delish. I don't mind two orders of this when I return to this place as it's very good stuff. This place serves the Hong Kong style chee cheong fun which has two types of fillings - prawns and char siu. We had the char siu version which was not too bad with silky smooth rice flour sheets. Seems from what I read in the newspaper, they have one person specialising in making this hence the quality is maintained. An essential order for dim sum breakfast - har kau which is prawn dumplings. This one didn't pass the test as the skin wrapping the prawn was too thick and not translucent enough. The prawn inside was pretty crunchy though. 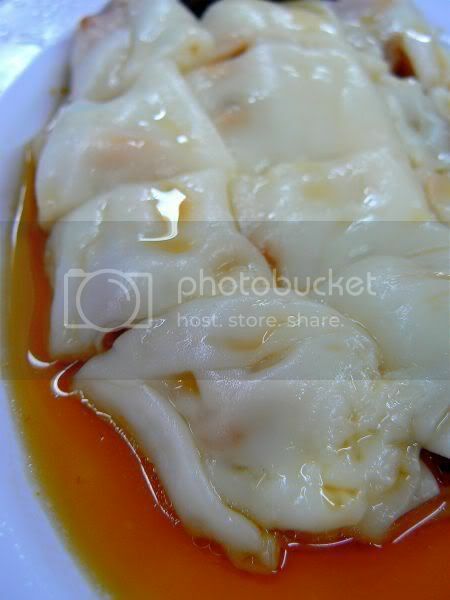 This particular dim sum was made of wafer thin egg crepes that encased a pork and prawn filling. 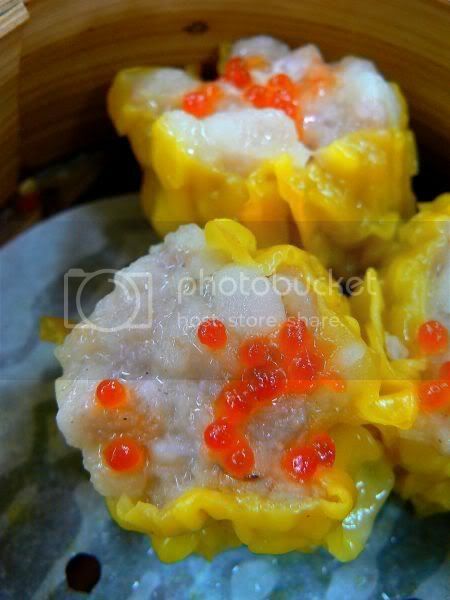 Not too bad but the filling tastes similar to the one you get with siu mai. The char siu sow was good with a flaky lard enhanced pastry casing. They fill it up with chunks of meat for a pretty substantial bite. 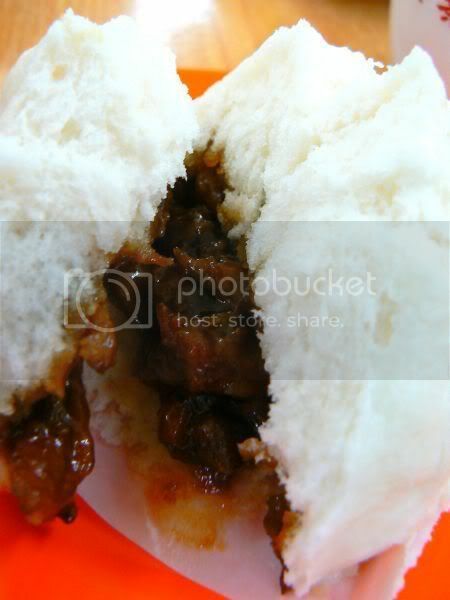 Unlike the char siu sow which we all liked, the steamed bun or pau was not too great. The filling seems to lack flavour. 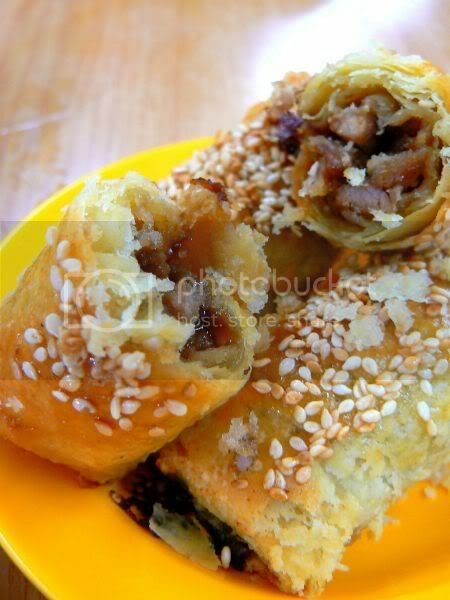 I always love Wu Kok - Crispy Yam Puff but this version wasn't too great as the yam was not crispy enough. The filling is not too bad though but I was pretty dissapointed with the not crispy yam exterior. 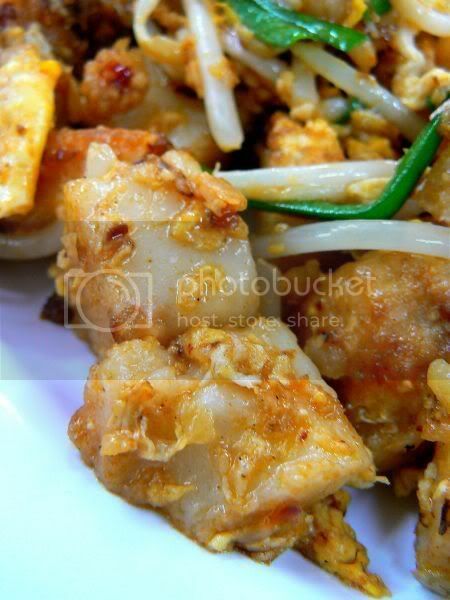 Another must have - the fried carrot cake with bean sprouts and egg bits. This version is pretty good and fragrant. Another plus point is it's not too oily. Overall, we thought the place definitely rated another visit especially for their Sang Chow Loh Mai Fan. Although some items can be given a miss, the steamed spinach dim sum, chee cheong fun, fried carrot cake, char siu sow and egg crepe dim sum were pretty good orders. Prices range from RM1 to RM5 for the items which are calculated based on the bamboo baskets and plates you accumulate on your table. Service is brisk and the place is also clean and airy as it's a corner lot. As I have mentioned before, I always get incredibly lost in Cheras. It's like I generally know how to get there but I'll end up taking two or three rounds before I reach my destination. This particular place which WMW from You Get What You Give Sometimes blogged about earlier was a fine example. Great directions from the highway with road signs but I still flubbed it at the end by taking a wrong turn. Luckily I could go through the same way again and managed to find it. There's lots of soupy noodles here to satisfy and warm a tummy well especially with all the rainy days we have been recently experiencing. They have this delish looking prawn noodles with three huge prawns. Didn't get to try that but it looked tempting. 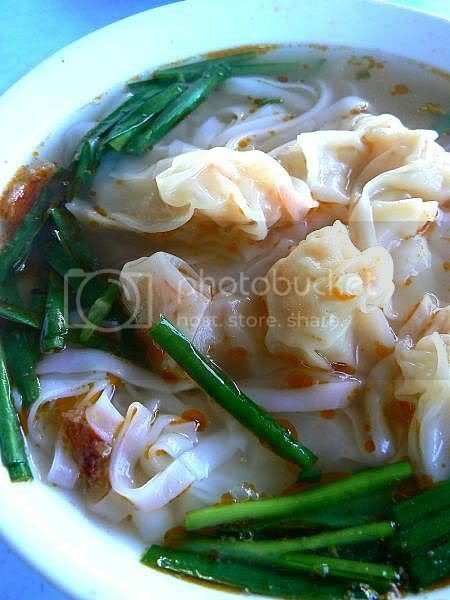 I had their prawn wantan noodles (RM4.80) instead which didn't wow me probably because the prawn wantans weren't crunchy. I did like the soup broth which came with it as it was rich and very addictive. One spoonful is not enough and I ended up slurping almost three quarters of it down. The soup broth feels very home made and has relatively very little MSG in it. Then there's the recommended Beef Mix Noodles (RM4.80) which was excellent. 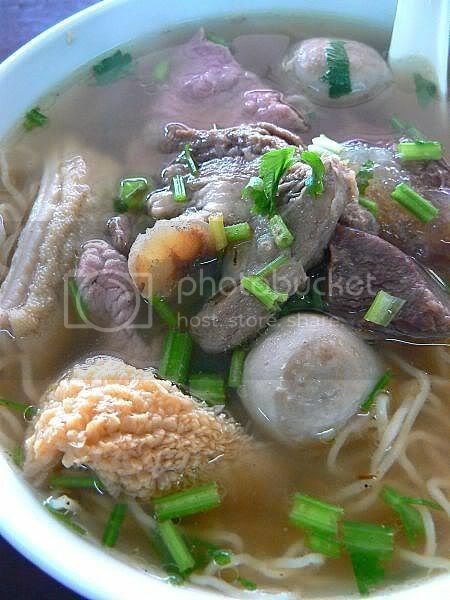 I had it with the Cintan Mee that is home made with fine strands that went so well with the rich beefy soup. My favourite bits of the mix was the beef slices - so tender they melted in my mouth. 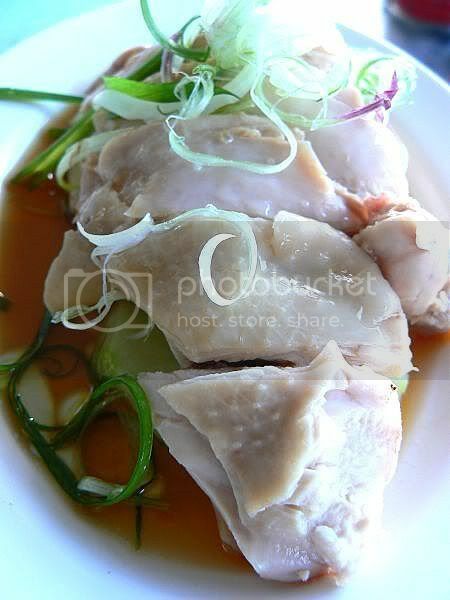 Aside from the noodles, you can also ask for additional items like poached chicken (RM5). I didn't think much of it as it wasn't smooth enough. When it comes to bean sprouts (RM2), I love them extra crunchy. These ones didn't pass the crunch test nor the fat and luscious test. I guess I should have stuck to the soup broth instead. Do drop by this place to sample their noodles especially the delicious soup. It's relatively easy from the highway as there's signs leading you all the way. I understand that three friends opened this place hence the reference to 3U which means Sam You (in cantonese, three friends). You'll see them around the restaurant either helping out at the counter or taking orders. There seems to be a lot of cheap blueberries around town at the moment. First, TMC had a special promotion for RM7.25 which I thought was a very good price considering it goes for double all the time. Then Isetan topped the scales with sale price of RM6.99 last weekend. I've been stocking them up and slowly using them. First, I made the tart then muffins. I think the next recipe should be blueberry crumble as it tastes so much nicer when it's cooked down. Although prices have gone back up a bit, it's still pretty reasonable as Isetan is selling them for RM9.99. Since we don't often get blueberries at such reasonable prices, I started digging through my cookbooks for a good recipe. Decided to try Claudia Fleming's Blueberry Cream Cheese Tart which I have been eyeing for a long time. In fact, I actually bought that cookbook just for this recipe. From her cookbook, The Last Course, the tarts use a graham cracker crust. However since I was lazy, I made do with pre-made tart shells for photo taking and used the tart shells I had made for my Lemon Tart. They have been sitting in the freezer and all I needed to do was just pop them in the oven to bake them. 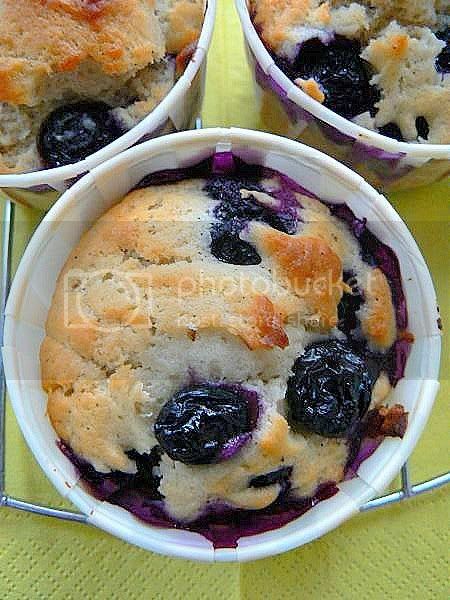 It's quite simple to make the pastry cream and the blueberry topping with the syrup. The pastry cream has hints of cream cheese which seems to develop better if you leave it overnight. It was really good stuff and Splashie Boy was one happy fella when he got home and found this in his fridge that night. For the adapted recipe from the cookbook, refer below. For another batch, I made Blueberry Muffins for snacks. It's a simple recipe which a friend of mine swears by from the Australian Women's Weekly (AWW). Since it's her recipe, I won't put it up but I'll link it to another recipe from AWW which is kinda similar. The texture of the muffins is excellent with a soft and fine crumb. My only complaint was the taste was quite bland with just the blueberries. I should have added some grated orange rind or orange juice to give it more flavour. Combine 3/4 cup of the milk and 3 tablespoons in a heavy bottomed saucepan and simmer over medium heat. In another bowl, whisk the egg yolks, the remaining 2 tablespoons of sugar and cornstarch. Whisk remaining 1/4 cup milk into the egg mixture. Remove the hot milk and whisk a bit slowly into the mixture to just warm the egg mixture. Pour the egg yolk mixture into the hot milk in the saucepan, whisking constantly when you pour. Place the saucepan on a stove and bring it to the boil while whisking constantly. You will see lots of bubbles when you whisk it but when it starts to thicken, the bubbles will dissapear. It takes about 3 minutes for it to thicken. Add the cream cheese cubes and vanilla extract and whisk it into the custard. Whisk untill all the lumps dissapear. To make sure everything is melted, sieve the mixture. Cover the surface of the pastry cream with cling wrap and refrigerate. Leave it to chill and fold in the whipped heavy cream. 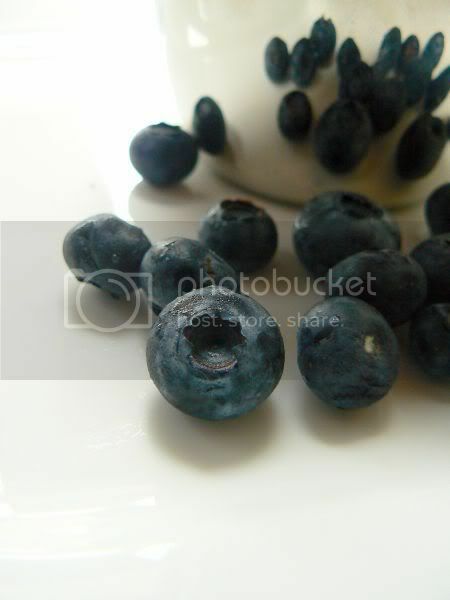 To make the syrup, mix 1 cup of blueberries and sugar in a saucepan over heat. Cook until the berries have popped and broken down, above 5 minutes. Sieve the mixture to get the syrup while discarding the solids. 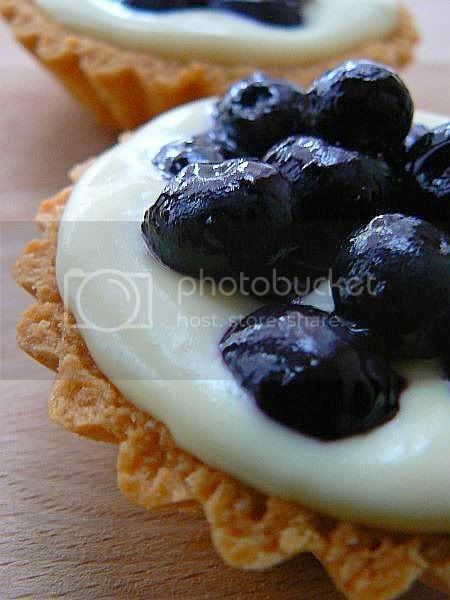 Toss the remaining blueberries with the syrup and add it as a topping to the pastry cream in the tart shell. This weekend, Puddy and Kate from A Byootaful Life is hosting WCB with the optional theme of The Simpsons in honour of the movie. 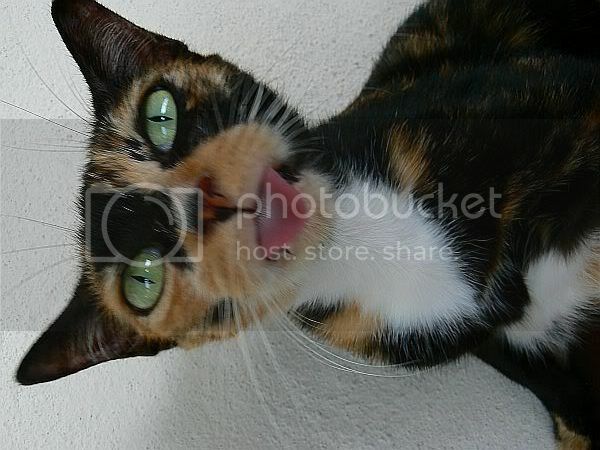 I honestly didn't know anything about the theme until I just logged in but I reckon this picture of the stray cat with her tongue sticking out will fit right in with the Simpsons antics. Usually she looks angelic but she was cleaning her self after a meal and I caught her with her tongue still sticking out. Oh and we also have good news - it looks like she's expecting as her tummy suddenly grew overnight. We have no idea how far gone she is but since she's sticking like glue to us, it looks like we'll have to take care of her and her litter when they're born. 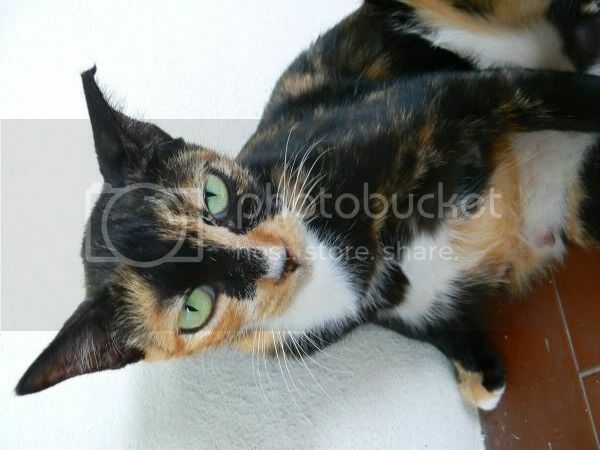 Once she has nursed her kittens, she's going straight to the vet to be spayed! So if any of you are looking for kittens, do keep us in mind as we'll need good homes for them. The weekend is here - hooray! To celebrate, here's one of my favourite breakfast meals i.e. Nasi Dagang. When it comes to Kelantanese food, I've got quite a "thing" going as I absolutely love their food. 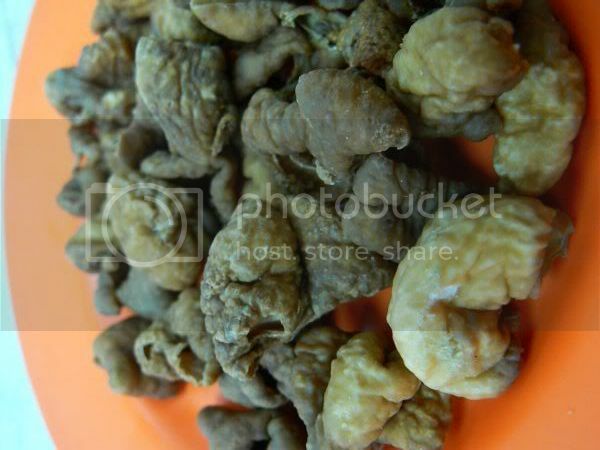 I got hooked on it when I used to visit Kota Bahru for work. 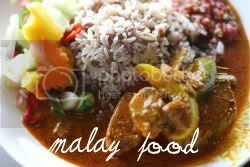 For the people of Kelantan and Terengganu, their breakfast staple is Nasi Dagang versus the more popular Nasi Lemak. The thing which makes or breaks the dish is the texture of the rice. 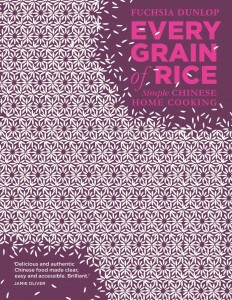 It has to have the right chewy consistency from the mix of glutinous rice grains with the normal white rice. Next comes the aroma of the rice which is steamed with coconut milk and cooked with strands of ginger to give it extra flavour. To differentiate between Nasi Dagang from Terengganu or Kelantan, just check to see if there are any reddish brown rice grains as that signifies it's the Kelantanese variety. 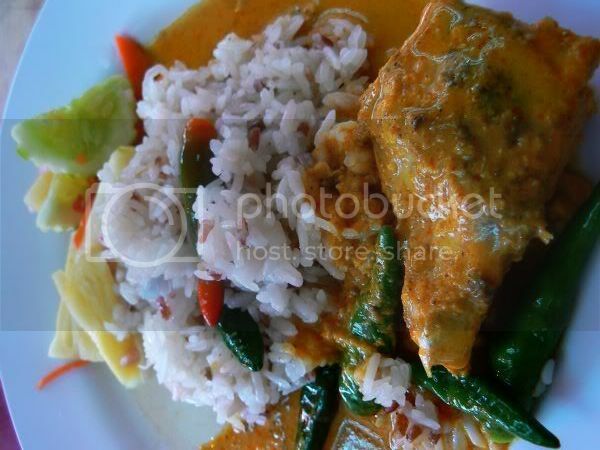 This particular Nasi Dagang is from Restaurant Jaring, the ever popular place in Sunway. Always packed with people, they serve this for breakfast which sells out quickly. If you don't get here early, it's sold out by 9 to 10 am. As it's served buffet style - a lot of people heap their plates with the fragrant and chewy rice. 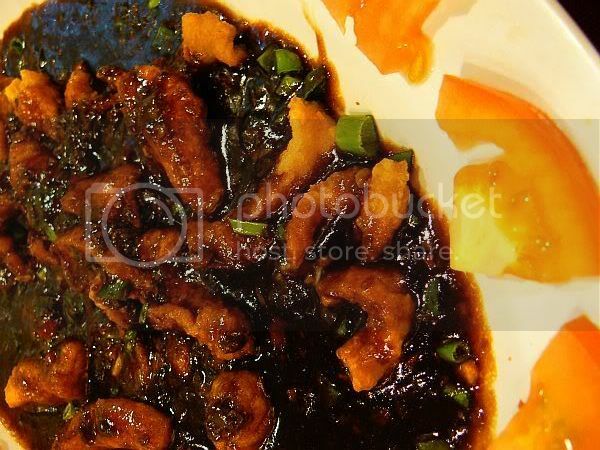 To give it an extra kick, Jaring serves their version with lots of chili padi. 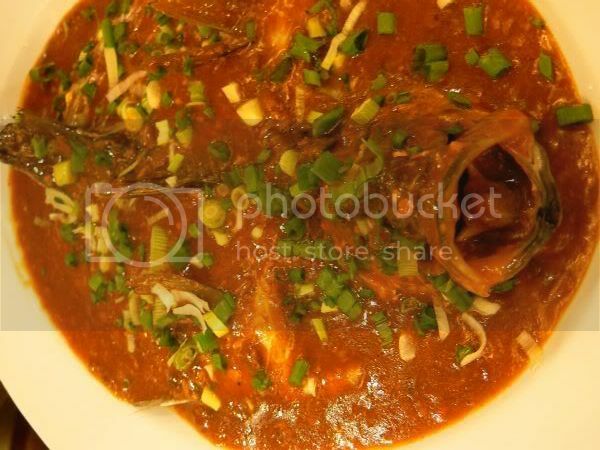 Ladle the creamy ikan tongkol (tuna) curry and a helping of the vegetable and fruit achar on the side. If you don't fancy Nasi Dagang, they also serve Nasi Kerabu. Whenever Splashie Boy says lunch at Suria KLCC, my face always go "URGH!" as I'm so sick of the choices around there - either I have eaten at all the places or he does not think highly of those places I have yet to try. I recently found out that Bakerzin has opened an outlet here - at the third floor within Isetan. Formerly the Sun Moulin cafe, it's tucked in a corner and located between the Bacchus wine shop and the Miki cheesecake place. A fresh new look has been given with lime green comfy chairs, blonde wood tables, high tables with chairs lined in the same lime green plus those funky transparent chairs which I want for my home. I must admit I've not dined within Bakerzin before since I usually pack back the cakes hence I was pleasantly surprised with the food quality which was good. We decided to try their lunch sampler for RM20++ since it offered more choices. You're given a piece of paper to tick what you want for lunch and drinks. I had the lime and mint while Splashie Boy had an ice lemon tea. Lime juice was slightly sour which is one how I like it versus dripping with lots of syrup. The fun part was choosing the meal - I ordered the tomato soup which came in a teeny weeny cup and a stick of celery. It kinda looks like their Bloody Mary soup in the menu except it wasn't spicy - tasted good and slightly sweet. Instead of a soup for a starter, Splashie Boy chose to have the pear salad which was very good stuff. 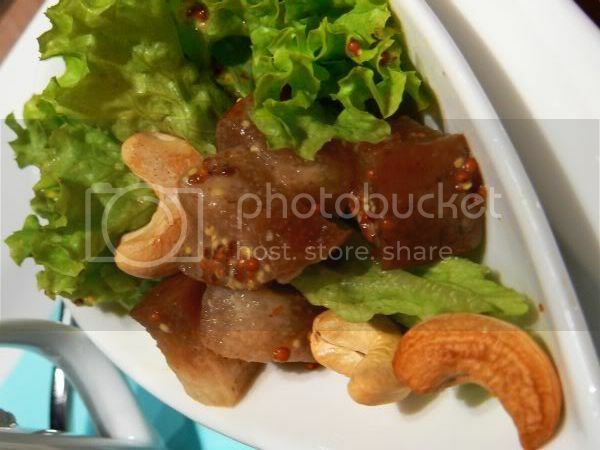 Chopped pears were tossed in a dressing which had whole grain mustard and cashewnuts. Aside from the starters, you can also choose two side dishes - we both had the calamari rings which was also good stuff. The calamari was cooked just right and not chewy. It's not on their regular menu and only available in the lunch sampler. For my side dish, I had the fruit salad - miniscule chopped kiwi, pineapple and watermelon while Splashie Boy had a potato salad. 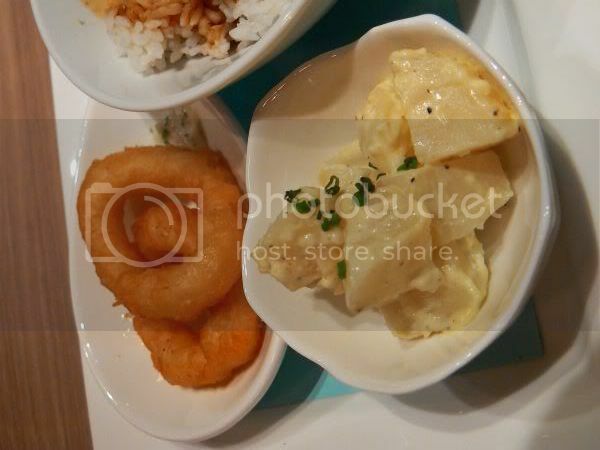 We both chose the fish dishes - while mine was teriyaki fish with rice, he had the fish with mash potatoes. His fish was so much nicer than mine purely due to the sauce they added. Can't remember what it was but it such good stuff, he relished every spoonful of it. For desserts, the choices look similar to their desert tapas selection. 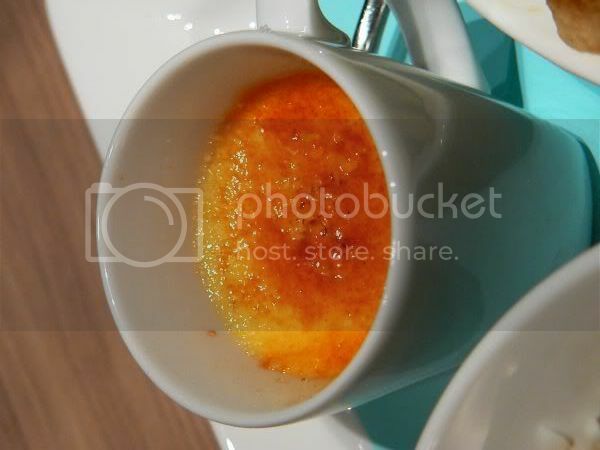 He had the creme brulee, a a favourite of his with that must have caramelised sugar crust. 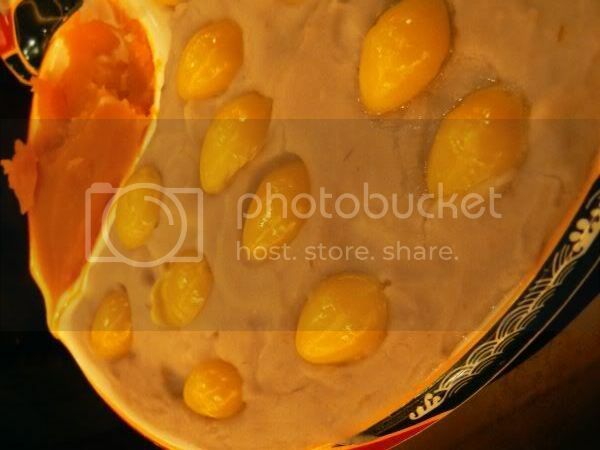 Filled with vanilla seeds, the custard underneath was good stuff. I had to have the profiterole, something I love a lot. Filled with ice cream, I thought it wasn't too fantastic as the puff was slightly chewy. Maybe I wasn't eating it right but I made a big mess of trying to cut it with a small spoon. Overall, I thought the lunch sampler was a good choice as it offered me a variety but if you're a hearty eater, portions may be too small for you. We will probably return to try their pastas which look interesting. Also spied savoury crepes which is also a favourite of mine. Stop Press! Calling all burger lovers, there's a new joint in town! 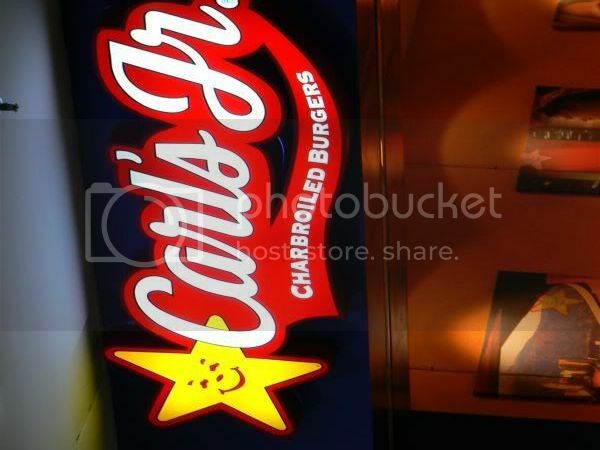 Carl's Jr, the franchise from the good old USA has just opened an outlet at 1 Utama Shopping Centre. Serving charbroiled burgers that promises "it's gonna get messy", this is definitely worth a visit especially if you love bovine delights. For those of you who have long memories, you'll remember Carl's Jr previously made it's debut on Malaysian shores under the MBf group of companies. Their most memorable outlet was in the KL Bird Park where you could get a burger together with free refills of soft drinks and a view of the hornbills feeding. Sadly that didn't do too well and they pulled out of the Malaysian scene. Now, Aspac which is part of the Hong Tat group in Singapore that does property development is the franchise holder for Singapore and Malaysia. There's plans to open at least 25 outlets within Singapore and Malaysia. So far, they have opened 4 outlets in Singapore. Being new to the menu, I had some trouble understanding how things work here especially the signboard plus the combo meals. When you walk into the place, they give you two items - a cute burger cut out which gives you a RM2 discount from your combo meal and the menu without prices on a pamphlet which you can take home. There's 11 types of charbroiled burger - their famous Famous Star and Super Star. Then they have the Portobello Mushroom, Chili Burger, Guacamole Bacon, Western Bacon varieties. 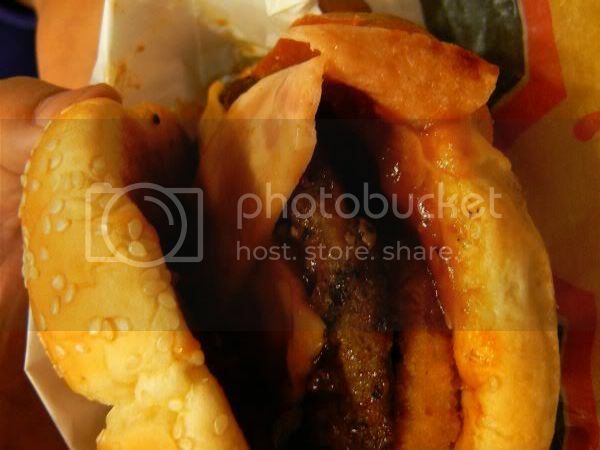 Some of the varieties also come with double patties that will definitely fill you up. There's also charbroiled chicken sandwiches, crispy chicken, fish sandwich and fish and chips if you don't take beef. For sides, there's salad, onion rings, fried zucchini and criss cross fries. There's even desserts - cheesecake and choc fudge cake. I decided to go for their Portobello Mushroom Burger - the medium combo set that was priced at RM24. The burger is definitely bigger than the usual suspects from McDonalds and Burger King. Here instead of a thick meat patty, it's a larger patty but thinner. 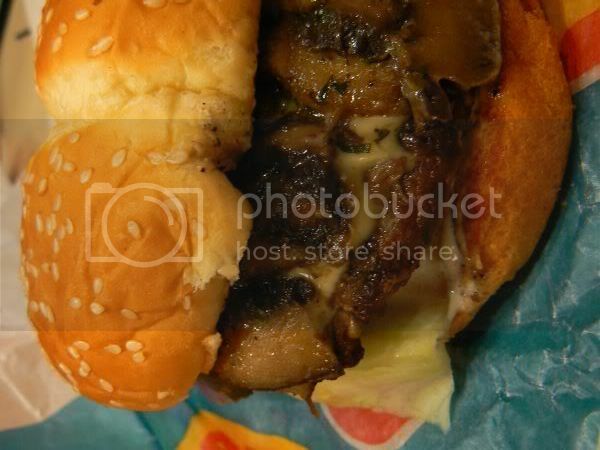 Topped with a generous amount of chopped portobello mushrooms, a lettuce leaf, tomato, onion, mayonnaise and cheese, it was not bad. I was slightly dissapointed though as I expected more like a fresher burger since they are said to prepare it when you order. This didn't feel like it was grilled when I ordered it since it arrived on my table quite fast so I suspect it could have been pre-cooked, kept warm and then assembled when I ordered. Splashie Boy had the Western Bacon Cheeseburger - Medium Combo for RM19.50. This came with a piece of chicken bacon, onion rings, meat patty, melted cheese and lots of barbeque sauce for flavour. This was not bad and quite tasty with the sweetish and smoky barbeque sauce although there's not much taste to the chicken bacon. The fries which was served with the combo meal wasn't too fantastic though - we reckon they can't beat McDonalds super crispy french fries. Both the combo meals come with free refills for drinks. 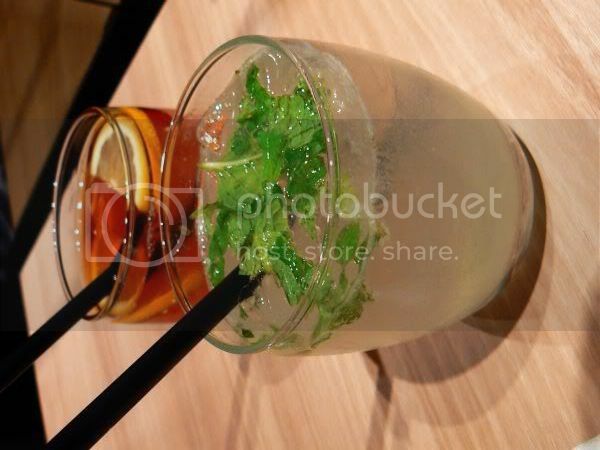 Just help yourself from the counter of ice tea, soft drinks and ice lemon tea. There's also hot tea and coffee from their own brand, Channel Islands Roasting Company. For those of you who are on a low or no carb diet - you can rejoice as they offer a low carb option for every burger or sandwich. It looks like this means they will serve you the burger minus the sesame crusted bun. Tastewise, I was not blown away with the burgers though it offers more exciting options like guacamole and portobello mushrooms with my burger. I thought prices were way too steep though for a fast food joint even though it was bigger portions. Their basic burgers - Famous Star and Super Star were going for RM12 to RM15 for the combos while the burgers with the luxe toppings were around RM20 to RM25 for the combos. There's also no mention about how much the Double varieties cost on their signboard. See what I mean about lack of information? Anyway, do give them a try as tastes may differ. Since it's early days yet, the service and burger quality may change again so another revisit is definitely needed to try their basic specials like the Famous Star and Super Star. After having a dissapointing breakfast at Mei Sin, I was kinda stumped on where else I could try. Luckily WMW from You Get Want You Give Sometimes suggested this particular place to me along Tengkat Tong Shin. Packed with people getting their breakfast before they head off the work, it's a breeze getting a parking space in front of the shops. Right in front of the shop, you'll find a stall selling chee cheong fun, cakes, snacks, steamed pau, fried beehoon and glutinous rice. It's popular with everyone and you can even get a plate to eat it within the shop. The shop only has one stall run by a lady which serves assam laksa, curry laksa, dry curry chicken mee, fish porridge, chicken porridge and fishball noodles. Since they sell so many items here, you can actually pick and mix your own concoctions. 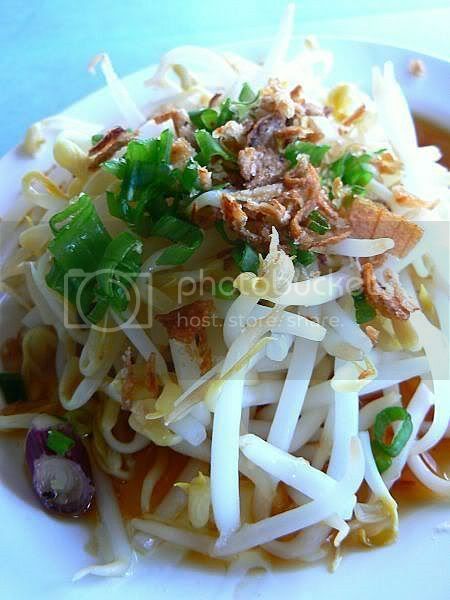 For instance the curry laksa can include whatever you wish whether it's more bean sprouts, chicken shreds or cockles. 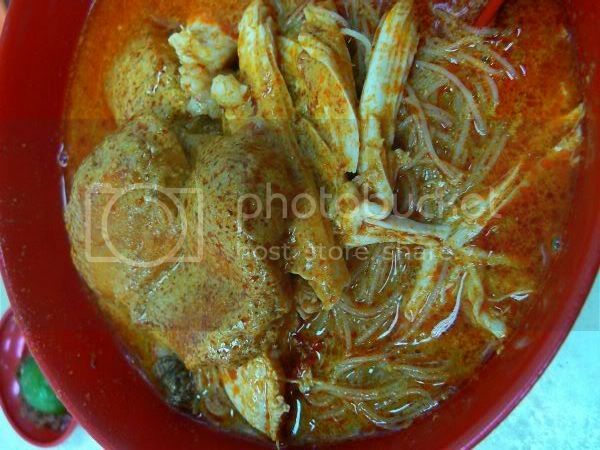 The laksa is thick and creamy - you can feel your arteries clogging up after you eat this. Taking WMW's advise, I ordered a plate of sinfully good deep fried intestines to accompany the laksa. It was good stuff and I mixed some inside the laksa or just crunched on them when eating my noodles. One day when I was here, I decided to try a different concoction and saw them preparing this unusual dish - chee chap noodles. 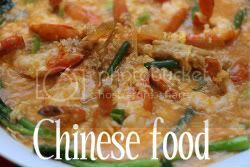 Usually this is eaten with porridge but here you can have it with dry noodles or noodle soup. Packed with crunchy deep fried intestines, braised intestines and slices of the lung, it was good stuff. Also good at this place is their toast bread with kaya and butter. 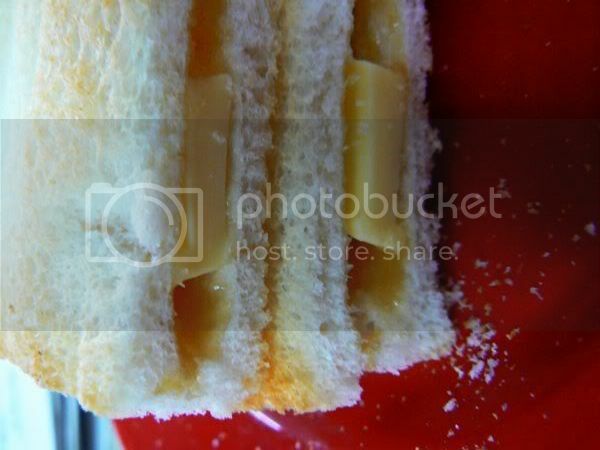 A man will prepare the toast by using the small toaster oven and then add small pieces of butter. What makes this place's toast to be exceptional - it was beautifully toasted on all sides so it's nice and crunchy when you bite into it. The man who makes this is quite funny too as he goes around telling you to eat it quickly before it gets cold. If you're within this area, do give this place a try as it's so much nicer and cosier compared to Mei Sin plus I didn't spy any Indonesian maids preparing the food so it felt very authentic. How does one get rid of Monday blues? Well, one way is to drown your sorrows in food which is what I have today - a feast of tummy tickling food in pictorial form. 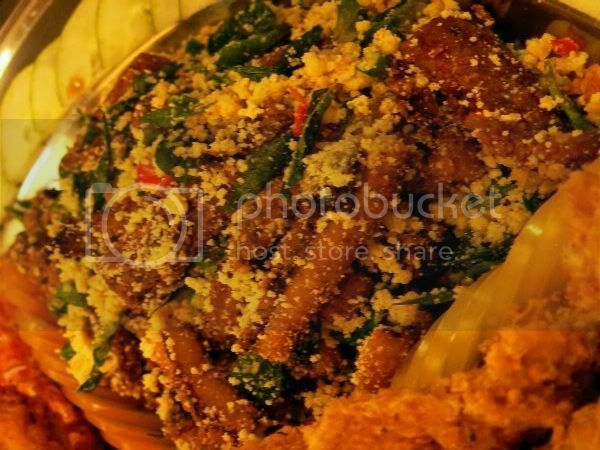 Last week, Jeannie Lee from New Formosa was kind enough to organise a dinner for a few floggers with KampungboyCitygal to sample their offerings. As usual, it was great fun especially when it came to picture taking - imagine a whole table of people jostling for the best shot with their individual cameras! Apologies though as some shots ain't perfect as I'm not too good with low light conditions. Kicking off the feast was the traditional platter of starters - grilled prawns stuffed with garlic in the foreground, butter unagi, crispy rice puffs and sesame seed fried intestines in the background. 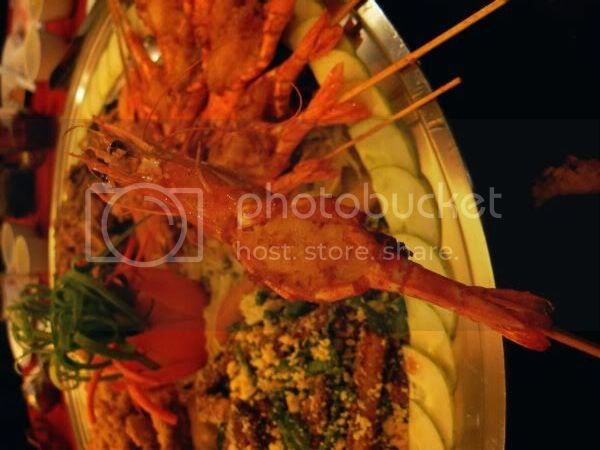 The skewered prawns were crispy and sweet that combined well with the garlic. My absolute favourite is the butter unagi (eel) - it is a must have whenever I eat here. It's totally unlike the usual lacy and crispy threads found in other restaurants version of butter prawns. Tossed with curry leaves and chopped bird eye chilies for flavour the crumbs remind me of the flaky but light topping of a crumble. Something unusual I have not tried before - crispy rice crust topped with a mixture of fried enoki mushrooms and clam meat. 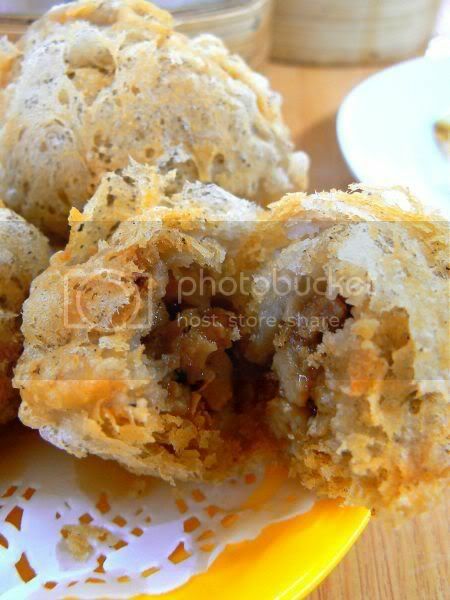 It's a good combination of crispy with the savoury mushrooms and the rich sauce. I must admit I was too busy snapping pictures to sample this until much later. 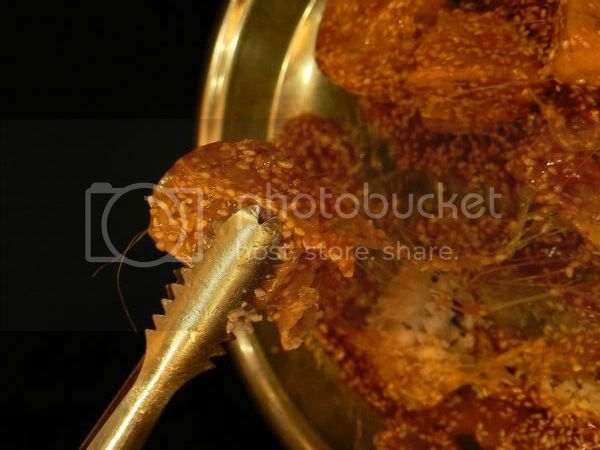 This was pretty unusual - sesame seed coated crispy intestines. You would not know it's intestines as the texture is not rubbery but kinda soft. The star of the show was the crispy roast suckling pig which everyone went ooh and aah over it. We even learned a new way to eat it - dipped in white vinegar as shown by Jeannie. It gets rid of the oily taste so you can eat even more pieces. 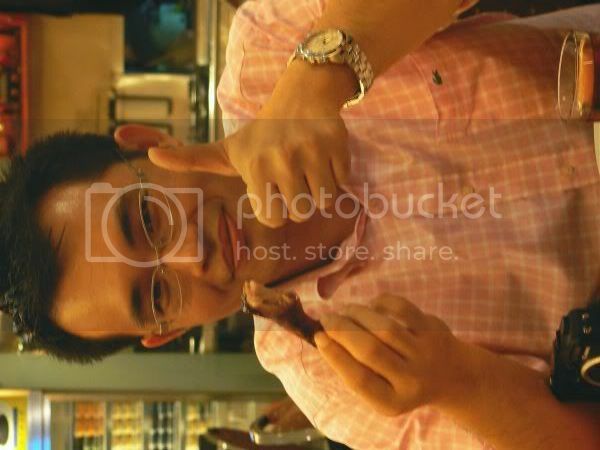 Jackson from Living in Food Heaven gave his thumbs up to this dish! In fact, every one finished this so quickly that you had to be quick to snap a picture of it. Next we had the duck dishes cooked in two different styles. 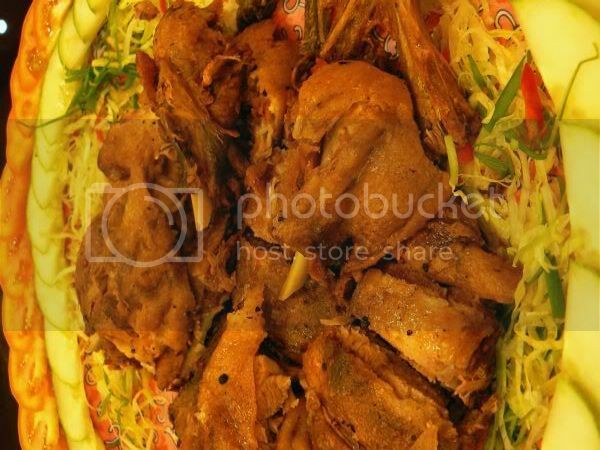 Although the restaurant is Taiwanese by origin, the owners have also introduced other dishes like this Sichuan Crispy Duck. Not too oily, the duck is crispy with lots of flavour. 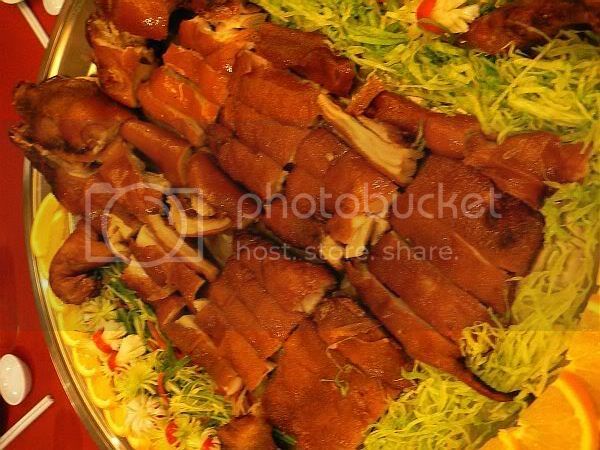 Kinda reminds me of the crispy duck you get in London Chinese restaurants which is their version of Peking Duck. 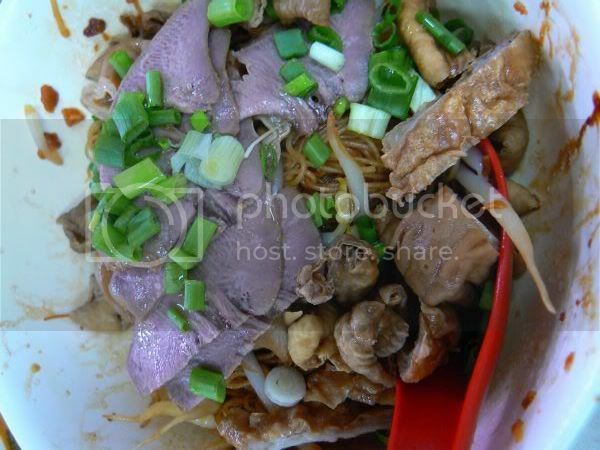 The other duck dish is the Pipa Duck tossed in a Longan sauce. I found this a bit salty and would have preferred the sauce on the side so I could dip into it as and when I wanted a bit more taste. Two fish dishes were next - a whole fish served with a fermented soy bean paste and the fried fish slices. 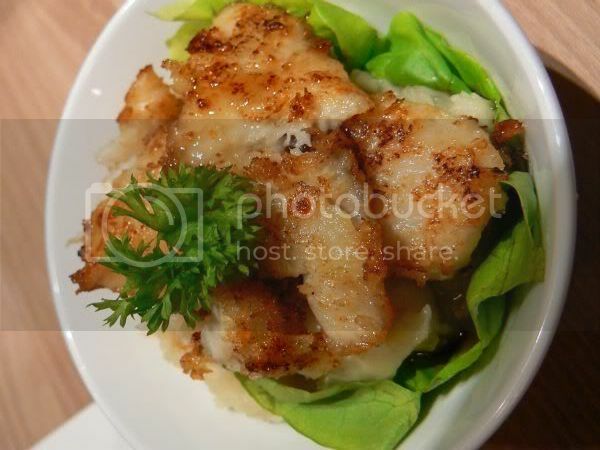 I've eaten the fried turbot fish slices which taste really fresh and delicious with the thickish sauce. 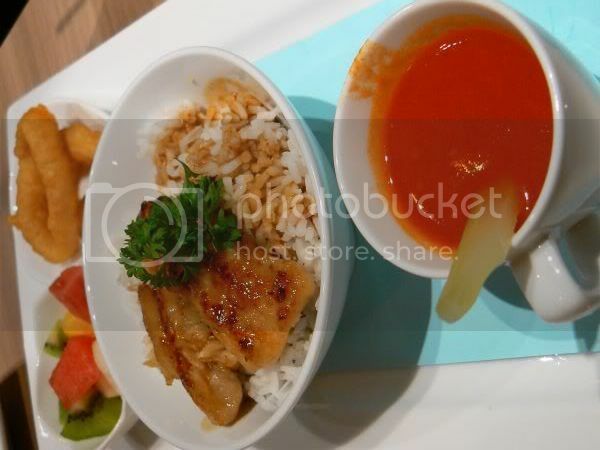 It goes really well with fried mantou to mop up the delicious sauce. 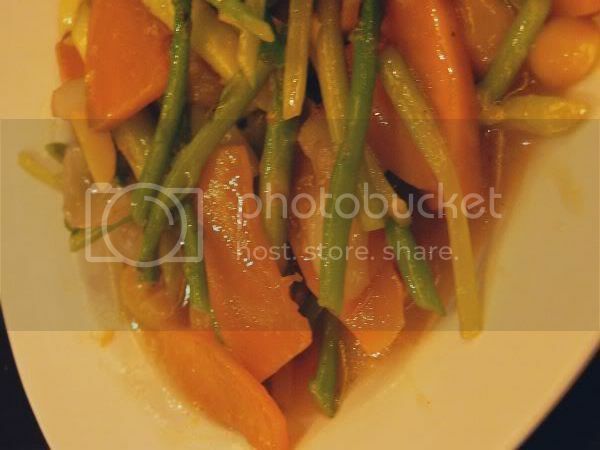 Even the vegetables is an unusual combination of sliced pumpkin, asparagus spears and fresh lily bulbs which was nice. 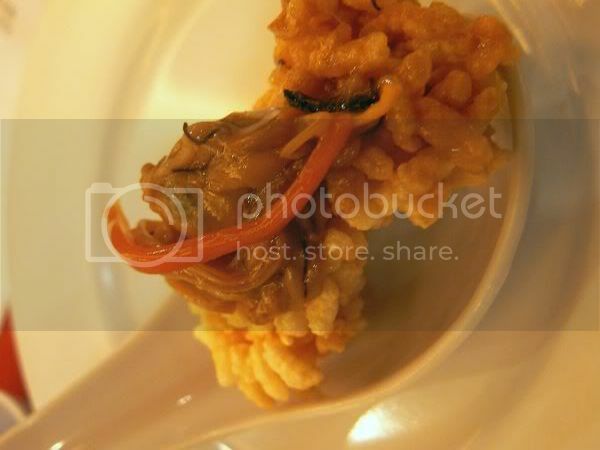 A must have when I dine here is their Bamboo Yam Rice filled with yam cubes, lap cheong and chinese mushrooms. It tastes really good warm and even reheated the next day. Just when we thought we were reaching the end, we had their famous Formosan Stone Pot and Bonito- MaLa Steamboat. The stone pot is pretty unusual as they fry the chopped onions, garlic, spring onions and chili powder first with a special sauce. 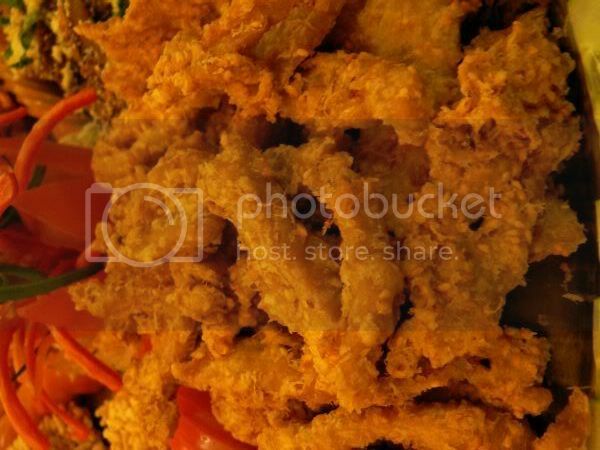 Once fragrant, chicken slices are added and fried together with fresh oysters. 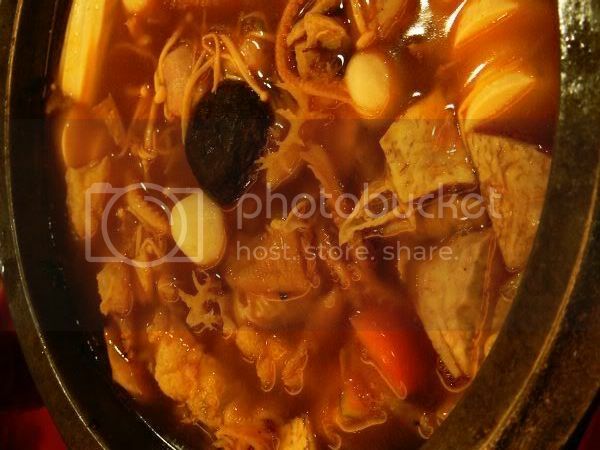 When it's cooked, the items are scooped out before adding the soup to the stone pot. 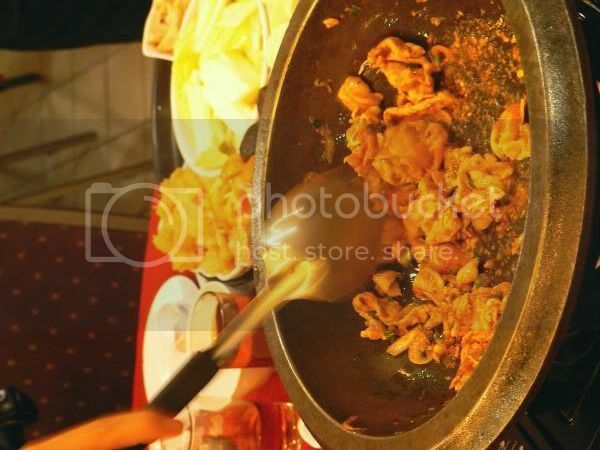 The frying of the items before adding the soup adds additional flavour to the stone pot. 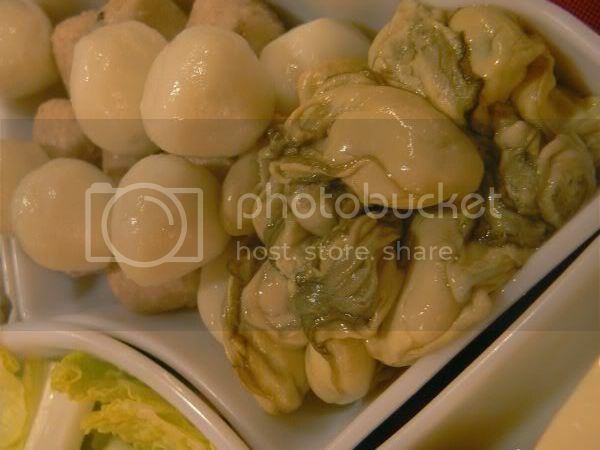 More items from a selection of fresh oysters, fishballs, enoki mushrooms, corn on the cob, bean curd sheets, yam, chinese mushrooms, tofu are all added into the soup to cook. Once everything is cooked, the soup will be boiling and everything will be floating to the top. Be warned though as the MaLa soup is extremely spicy. If you prefer a less spicy alternative go for the Bonito soup made from tuna flakes. 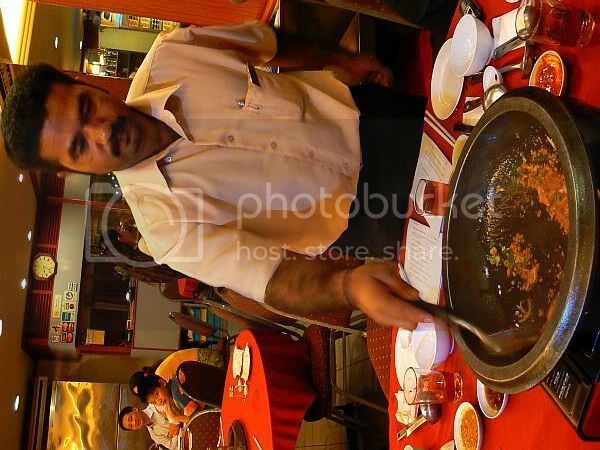 We also had a seperate pot of steamboat with the two soups and the same ingredients. 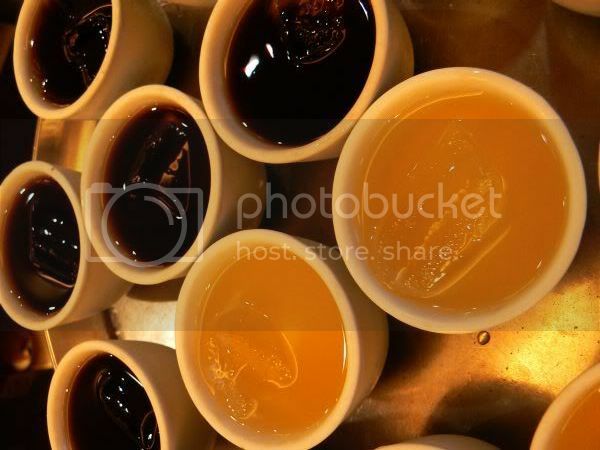 Something to cool down our burning tongues from the MaLa steamboat - their refreshing sour plum and herbal tea drinks. They're home made and taste so good especially the sour plum drink. 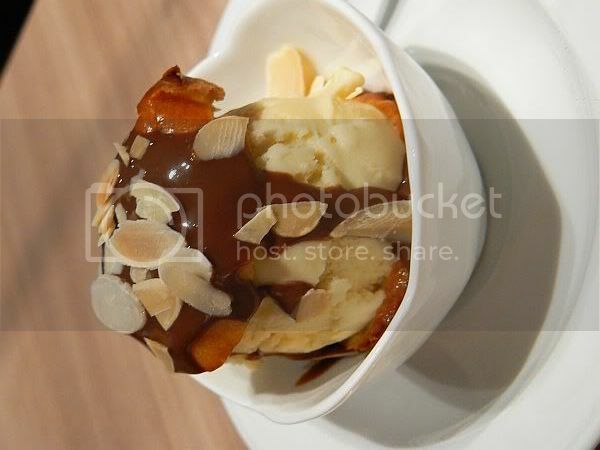 Desserts are also a big thing here and one item you must order is their Candied Yam. 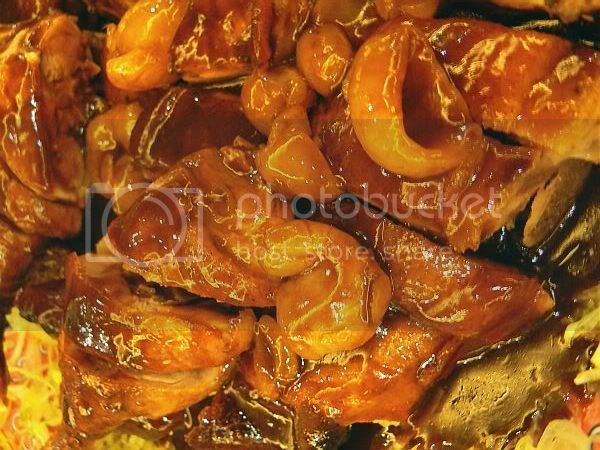 A caramel sauce with sesame seeds is prepared whereby steamed yam cubes are tossed and pulled out from the hot sauce as seen above. It's then quickly dipped in cold water for the sauce to harden into a crunchy candy shell. It tastes great especially with the soft yam inside the crunchy shell. 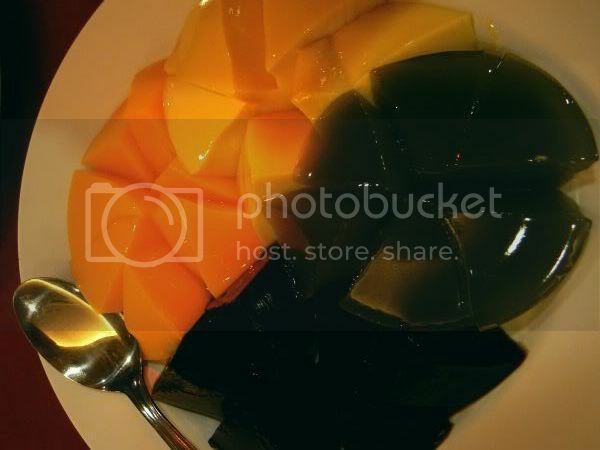 Aside from this, they also serve puddings of assorted flavours - green tea and aloe vera, gui ling guo, mango and my favourite the caramel custard. I absolutely the soft but slightly firm texture of the pudding which is laced with just the right amount of sweet caramel. You can also get these puddings from their dessert kiosks in Giant Shah Alam and Giant Subang Jaya. 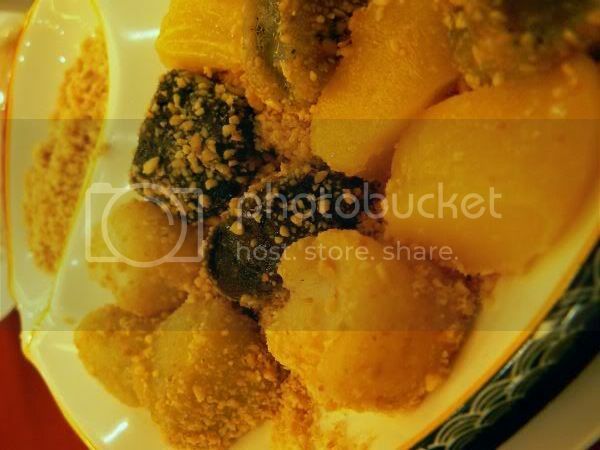 We also tried their mua chee which is made from glutinous rice flour of different flavours which is tossed in crushed peanuts. They also make this at the dessert kiosks. I'm a fan of this particular dessert - the Teochew Or Nee. 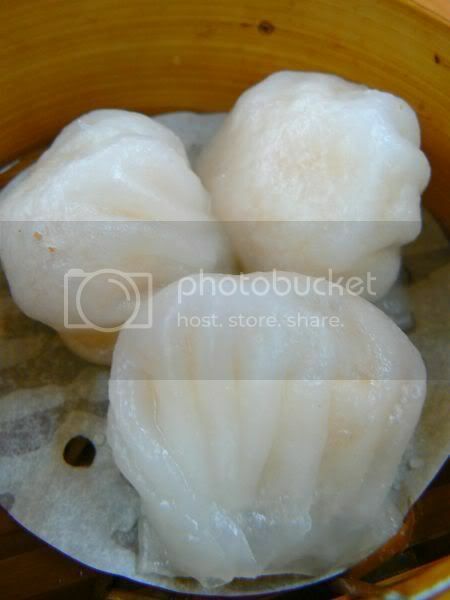 Steamed mashed yam is mixed with lard to give it flavour and topped with blanched gingko nuts. This version comes with steamed mashed pumpkin on the side which was good stuff. I liked their version as it's not too sweet compared to the traditional version. We all had a great time, so thanks again to Jeannie Lee and KampungboyCitygal for organising the dinner. 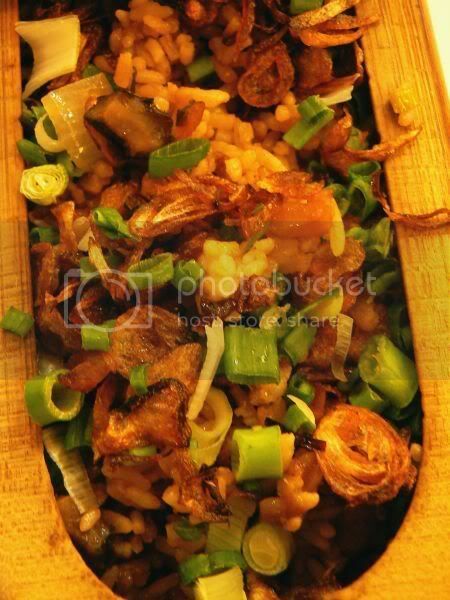 Aside from these dishes, the restaurant also serves lunch and dinner sets, home style dishes like Taiwanese porridge with sweet potato cubes and etc.